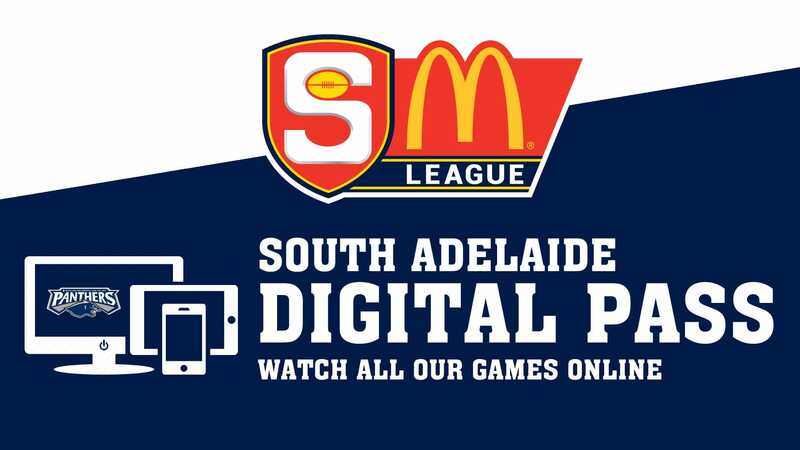 South Adelaide return to Hickinbotham Oval this Sunday afternoon as they face North Adelaide in Round 5 action of the SANFL Macca's League. 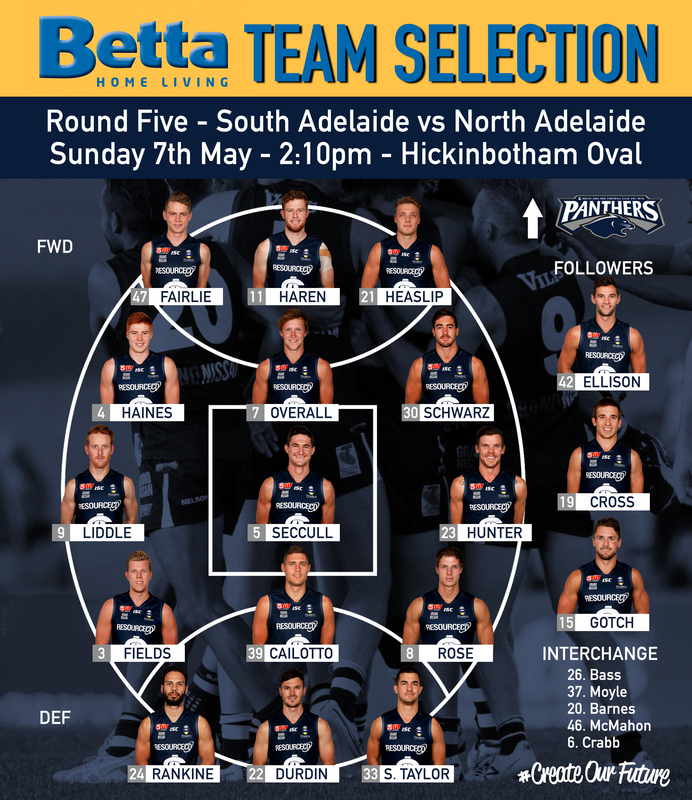 The Panthers will be forced to make at least one change to the team that knocked off Norwood at the Parade last Friday night, as debutant Matt Raitt has succumbed to a hamstring injury suffered at training during the week. Fortunately Garry Hocking's men welcome back goal sneak Rigby Barnes and strong-marking Alex Cailotto, while potential debutant Alex Moyle (Reynella - SFL) has also been named amongst the extended bench that needs to be cut to three before the match. The Reserves will also be bolstered by a pair of talented ins, as 100-gamer Tarak Redigolo and versatile Adam Gulden make their return to football through the twos. 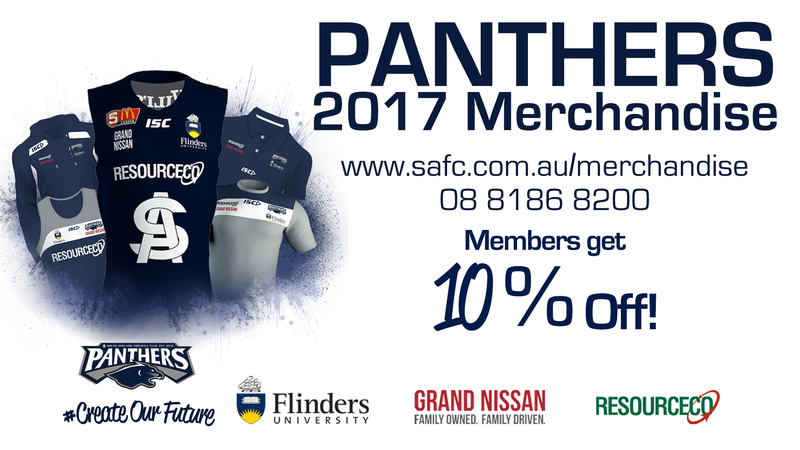 Meanwhile, the Panthers Under 18s look to continue their winning start to 2017 with a 2:10pm clash with North Adelaide at Prospect Oval the day before (Saturday, May 6), while the Under 16s precede the match in their final game of the season from 11:50am. 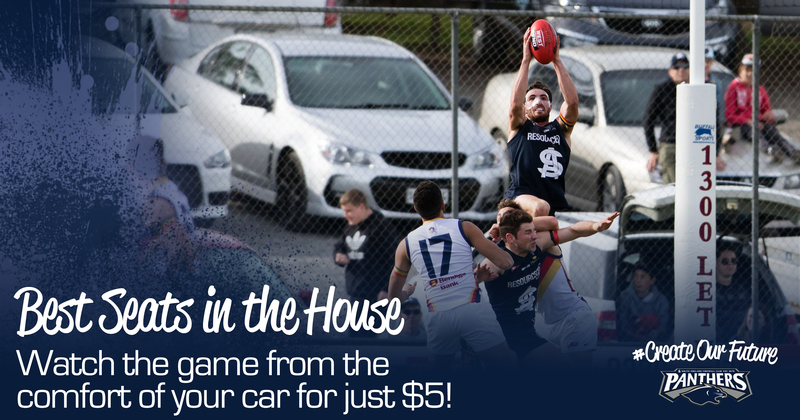 Best Seats in the House - Park around the oval for just $5! Did you know about our great members discounts? Can't make it to the game? Stream it live!